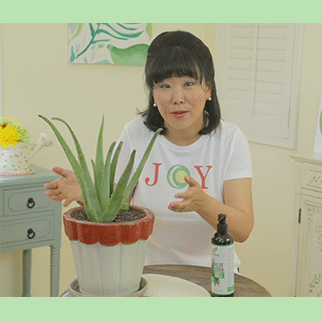 ﻿﻿ One of the symptoms of having digestive issues is skin rash, so when the skin rash is more severe, I like to treat it with a simple formula of combining aloe vera and jojoba oil to help reduce the inflammation. ﻿﻿ During the winter months with the cold temperature and drying winds, I need a lotion with more moisturizing power, so I share with you my own winter blend lotion that keeps my skin moisturized during the winter months. 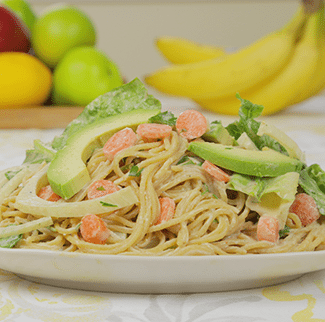 During the summer, I get some spot sun burns on my skin cause I spend so much time outdoors, so I share with you my summer sun burn remedy — and it’s also great for cooking burns! 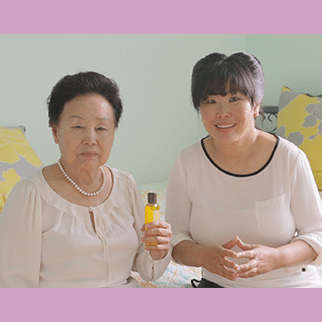 ﻿﻿ My mom shares her simple and ancient beauty secrets on how she washes and moisturizes her face that she has been practicing for years to make her look 20 years younger! 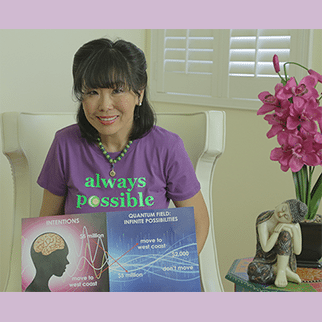 If you’re spending too much money on cosmetic surgery and beauty products for your face and neck, try Qigong movements to tighten and prevent wrinkles in your face and neck — a natural cosmetic lift. Ginger Lemon Honey Face Mask! If you love ginger in your food, you will also love it on your face! Ginger Lemon Honey Face Mask! 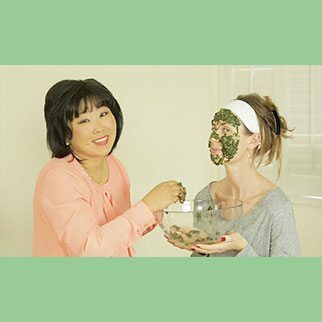 I love and eat so much seaweed, so I wanted to turn it into a natural face mask, and I figured out such an easy and simple way to do it. 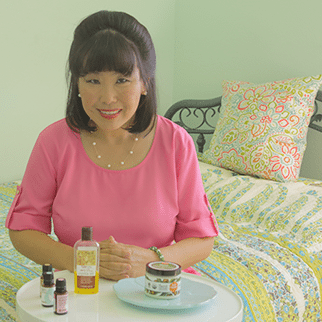 In this video, I show you a natural skin toner made with ginseng powder, and you’ll love it cause ginseng has anti-wrinkle properties. 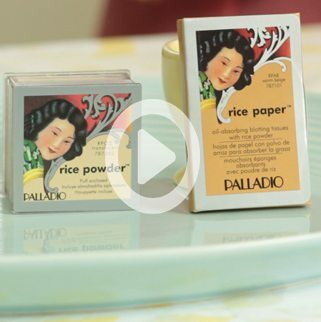 In this video, I show you how to make a natural face mask with fresh cilantro and sticky white rice. You feel like you’ve had a natural face lift without the high price of one, and it’s so easy to make! 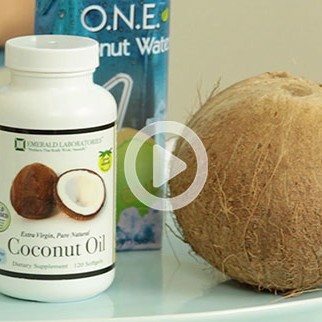 In this video, I am joined by professional make-up artist, Michelle Garbin, who will show you how to use coconut oil as an eye make-up remover, as well as talk about coconut oil’s multiple applications for your beauty needs. 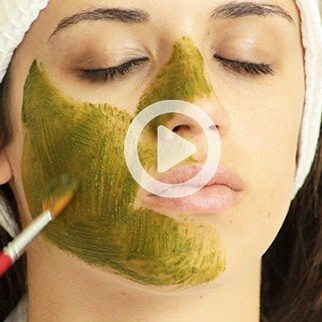 In this video, I am joined by professional esthetician, Michelle Garbin, who shows you how to make a natural face mask with Japanese Matcha Tea! 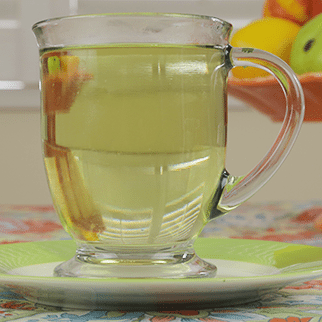 How to Reduce Puffy Eyes with Green Tea!